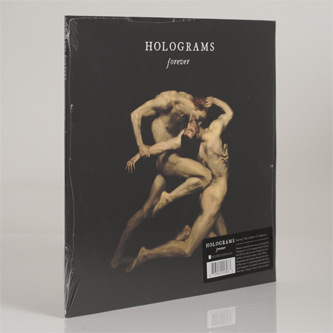 "A year plus on after the release of their debut LP, Sweden’s Holograms have returned with their second full length, Forever. After a year and a half of touring, losing their jobs, parts of their sanity and returning home only with the hope that their hard work will eventually pay off, they embarked on a new record drawing from the experiences that had simultaneously excited and exhausted the members. Frontmen Andreas Lagerström (vocals/bass) and Anton Strandberg (drums) still live in working class Farsta, 5 miles (8 kilometers) south of urbane and metropolitan Stockholm while the brothers’ Spetze (Anton: vocals/guitar, Filip: synth) still live at home. This isolation and boredom after their first international tours led the group to further mature and grow their sound into a record far more cohesive and “big-sounding” than their debut. The band aimed to capture the feeling of music being played in a church or temple, “like a mass…procession, or eulogy” as clearly demonstrated on closing track “Lay Us Down.” Though matured and experienced, the band’s youthful energy and DiY/Punk upbringing is still upfront and in full effect with the caustic “A Sacred State,” the melodic attack of “Rush,” or the unbridled mass-of-energy-cut-loose of “A Blaze on the Hillside.” Clearly, Holograms show no signs of slowing down the excitement and aggression of their original sound, something to delight their growing audience in this current world of arrogant sonic about-faces on sophomore albums. 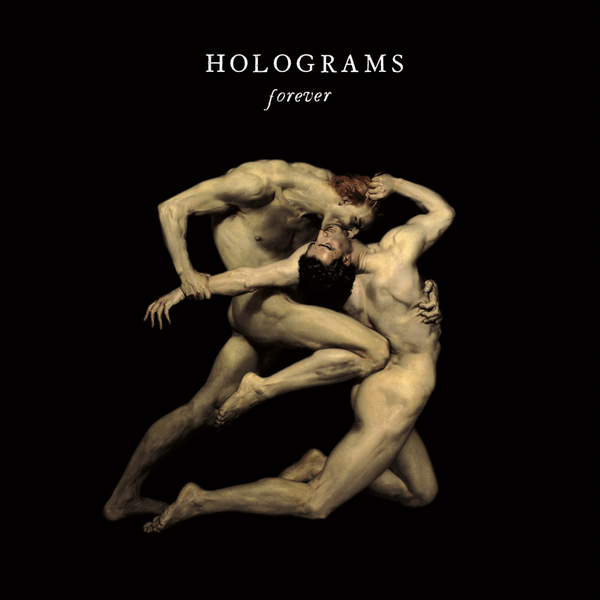 Forever is more than the next set of songs from Holograms. It’s a fully realized album that fans will relish for years to come. Songwriting and anthemic choruses as classic as the William Bouguereau painting they chose as the basis of their cover, though presented in a new and exciting way. A way perhaps best described with Holograms’ own words for the essence of their music “..energy, honesty, heart and spirit.”"